Cozy Private Cabin and steps to the Willowemoc River! Cozy 3 Bedroom Cabin across from the famous Willowemoc River and only 5 miles from Roscoe, Trout town USA. From this scenic Livingston Manor Cabin the main town is just 2 miles away, making it easy to shop for all of your essentials. The town offers unique shops including the Dette Fly shop, A local organic grocery store and eatery, Peck's Market for all your foody items & Basic essentials, along with clothing shops, home goods shopping and the Morgan outdoors which has the outdoor enthusiasts covered. Enjoy a cold beer at Catskill Brewery, or stop into Brandenburg Bakery for a sweet treat or home made delicious breakfast or lunch. Nearby restaurants offer hearty dishes, cold beverages and something for everyone. 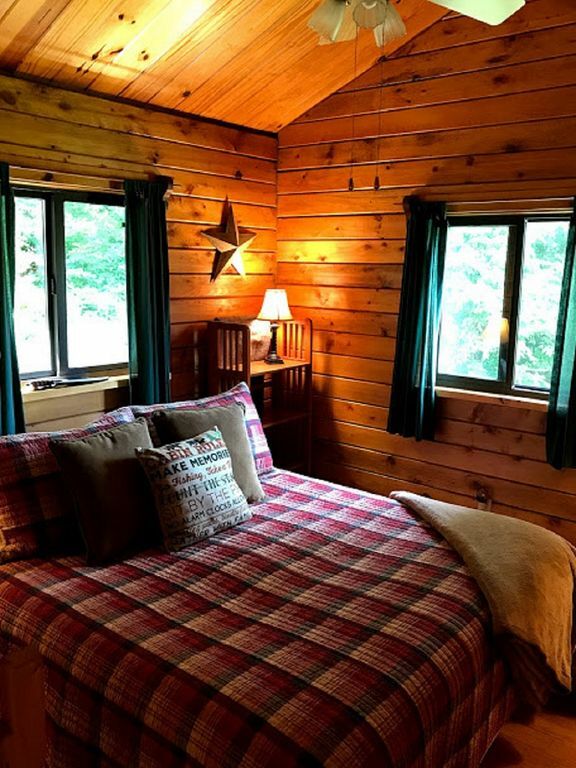 If you are looking for a cozy, clean cabin that has all of the basic amenities with walking distance to the Willowemoc River and a few minute drive to other nearby fishing hot spots this is it! 5 minute drive to the Beaverkill, 10 minutes to the East Branch and 20 minutes to to the West Branch. Pepacton Resevoir is 20 minutes. The downtown Hamlet of Livingston Manor, mostly along Main Street, has several restaurants, a large grocery store, several art and antique shops and hosts the annual "trout parade" in June. Walk to fishing. Located at the bottom of the driveway is the famous "Sherman Flats" special regulations area. This 3 mile section offers the very best artificial fishing on the entire river. Small Flat screen TV with Roku. Guests must provide hot spot internet. Excellent cell phone reception. Samsung "Blue Tooth" connect indoor sound bar.